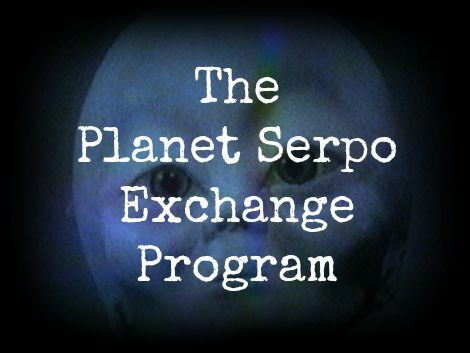 Project Serpo is the name of an alleged top-secret exchange program between the United States government and an alien planet nicknamed Serpo. Details of the exchange and what it was supposed to have entailed have appeared in several UFO conspiracy stories over the last 30 years. The first mention of a 'Project Serpo' was in a UFO email list maintained by enthusiast Victor Martinez. According to the most common version of the story, an alien survived a crash near Roswell in the later 1940s (see Roswell UFO incident). This alien was detained but treated well by American military forces, contacted its home planet and eventually repatriated. The story continues by claiming that this led to the establishment of some sort of relationship between the American government and the people of its home world – said to be a planet of the binary star system Zeta Reticuli. 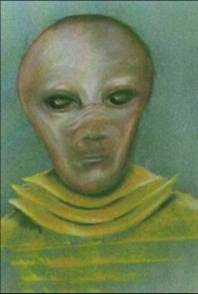 Zeta Reticuli has a history in ufology (including the Betty and Barney Hill abduction), having been claimed as the home system of an alien race called the Greys. First let me introduce myself. My name is Request Anonymous. I am a retired employee of the U.S. Government. I won't go into any great details about my past, but I was involved in a special program. As for Roswell, it occurred, but not like the story books tell. There were two crash sites. One southwest of Corona, New Mexico and the second site at Pelona Peak, south of Datil, New Mexico. The crash involved two extraterrestrial aircraft. The Corona site was found a day later by an archaeology team. This team reported the crash site to the Lincoln County Sheriff's department. A deputy arrived the next day and summoned a state police officer. One live entity [EBE] was found hiding behind a rock. The entity was given water but declined food. The entity was later transferred to Los Alamos. The information eventually went to Roswell Army Air Field. The site was examined and all evidence was removed. The bodies were taken to Los Alamos National Laboratory because they had a freezing system that allowed the bodies to remain frozen for research. The craft was taken to Roswell and then onto Wright Field, Ohio. The second site was not discovered until August 1949 by two ranchers. They reported their findings several days later to the sheriff of Catron County, New Mexico. Because of the remote location, it took the sheriff several days to make his way to the crash site. Once at the site, the sheriff took photographs and then drove back to Datil. Sandia Army Base, Albuquerque, New Mexico was then notified. A recovery team from Sandia took custody of all evidence, including six bodies. The bodies were taken to Sandia Base, but later transferred to Los Alamos. The live entity established communications with us and provided us with a location of his home planet. The entity remained alive until 1952, when he died. But before his death, he provided us with a full explanation of the items found inside the two crafts. One item was a communication device. The entity was allowed to make contact with his planet. Somehow, I never knew this information, but a meeting date was set for April 1964 near Alamogordo, New Mexico. The Aliens landed and retrieved the bodies of their dead comrades. Information was exchanged. Communication was in English. The aliens had a translation device. In 1965, we had an exchange program with the aliens. We carefully selected 12 military personnel; ten men and two women. They were trained, vetted and carefully removed from the military system. The 12 were skilled in various specialities. Near the northern part of the Nevada Test Site, the aliens landed and the 12 Americans left. One entity was left on Earth. The original plan was for our 12 people to stay 10 years and then return to Earth. But something went wrong. The 12 remained until 1978, when they were returned to the same location in Nevada. Seven men and one woman returned. Two died on the alien's home planet. Four others decided to remain, according to the returnees. Of the eight that returned, all have died. The last survivor died in 2002. The returnees were isolated from 1978 until 1984 at various military installations. The Air Force Office of Special Investigation (AFOSI) was responsible for their security and safety. AFOSI also conducted debriefing sessions with the returnees. Victor Martinez (an alias), a former US government employee who coordinates the email communication activity, says that confidential sources who are current and former US Defense Intelligence Agency (DIA) officials told him about an unusual meeting. Statement: A whistleblower nicknamed "Victor Martinez", that claims to be a former US government employee, with contacts inside the Defense Intelligence Agency (DIA), alleges that on Nov. 12, 2009, occurred a secret meeting between extraterrestrial entities and U.S. plus international representatives in the remote Akau Island, part of the Johnston Atoll, an U.S. territory in the Pacific Ocean 750 miles south west of Honolulu. Martinez also has been exposing details of a supposed exchange program of US military and aliens, named SERPO. I don't know if this guy is saying the truth, about the meeting or about the program, but definitely there's SOMETHING in this atoll. Some areas were tampered on Google Earth, but are still visible large underwater structures, around Johnston Island, pretty symmetrical to be coral reef. Out of all of the information stated in these Project Serpo documents, books etc, the one thing that stands out and completely blows the story out of the water is the "translation device" that was supposedly able to translate to and from English. This is highly unlikely especially during the early events in New Mexico, 1947 - 1948. Since these were the first recoveries of entities etc., how could the aliens have been prepared ahead of time to translate English? It just stands out and screams fabricated story! It is strange how one statement in a document of possibly 100's can invalidate a story and put the entire story in the round file. Which is where I think this one belongs! This all makes me wonder, why right now are "they" releasing this disclosure to us? I'm skeptical on this whole thing. A lot more needs to be brought to light. Hopefully, this is just the beginning...?